You can track your workouts with other devices, of course. Dedicated activity trackers such as those from Fitbit and Garmin, as well as smartwatches from the likes of Samsung and LG can monitor your fitness routines. If you own an Android phone, an Android Wear watch may be your best bet as it can team up with your watch to store and display your workout data. But if you own an iPhone, an Apple Watch is a natural partner as it sends your data directly to the Activity and Health apps on your phone where you can review the information and keep track of your progress. To kick things off, update your Apple Watch to watchOS 4.0 or higher if you haven't already done so. Make sure you're already running iOS 11 or higher on your iPhone. On your phone, open the Watch app. Tap on General and then Software Update. If the Watch app says you have watchOS 4.0 or higher, you're in business. If not, let the update download and get installed on your watch. Now it's time to hop on board your favourite fitness machine, or get ready for a healthy walk or jog. On your watch, tap on the icon for the Workout app (the one with the running figure). Swipe down the screen until you find the workout you're about to undertake. 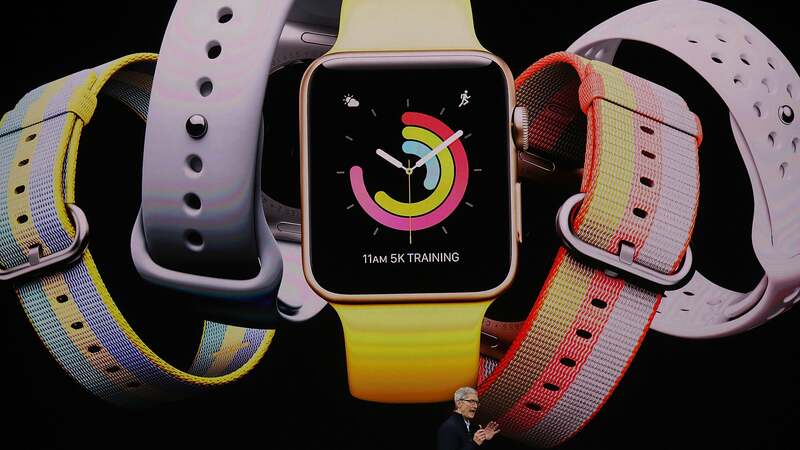 The Apple Watch offers workouts for indoor and outdoor walks, indoor and outdoor runs, indoor and outdoor cycling, elliptical, rower, stair stepper, swimming, and high-intensity interval training. If you don't see your favourite workout listed, you can choose the entry for Other, which calculates your heart rate and calories burned based on your physical exertion. After you're done, you can give that workout a specific name to use it again in the future. If you want to track any workout without setting a specific goal, just tap on the name of the workout. If you want to set a goal for a certain number of calories, time, or distance, tap on the icon with the three green circles, select the goal, set the number you wish, and then tap on Start. From there, begin your workout of choice, and your watch will count down and start tracking. If you glance at your watch as you work out, you'll notice that it displays such metrics as the elapsed time, active calories (calories burned through exercise), total calories (active calories burned plus the calories your body normally consumes), and your heart rate. If you set a goal, the watch will alert you when you've achieved it. When you're done with the workout, swipe your watch screen to the right and tap on the End button. The Workout app then displays a screen showing the stats for your entire workout. Swipe down the screen to view the numbers for the metrics recorded, including total time, calories burned, average heart rate, and the range for your heart rate. Tap on Done to record the workout. You can track back-to-back workouts and get a comprehensive summary at the end. Start your first workout. Before you finish, swipe your watch screen to the right. Tap on the New button. Start your second workout. Before you're done, swipe to the right again, tap on New, and start your third workout. Continue this process until you've completed all your workouts. When you're done, stop the recording of your last workout. Your watch then displays the stats for each workout as well as for all your workouts collectively. Need motivation to encourage you to work out? Your Apple Watch offers a smart coaching feature, as well. This feature displays workout advice and suggestions, presents monthly challenges, congratulates you on your achievements, and awards you virtual trophies when you've hit your activity goals. Music can be another motivator. You can set your watch to automatically tune up your favourite playlist when you work out. On your iPhone, open the Apple Watch app. Tap on the My Watch tab at the bottom of the screen. Swipe down to and tap on the Workout app. Tap on the entry for Workout Playlist and choose a specific playlist. That playlist will now automatically start when you begin a workout. Remember that you'll need a Bluetooth headset or speaker to listen to your music. Now let's say you want to see the data for your recent workout. On your watch, tap on the Activity icon (the one with the concentric coloured rings in a circle). The app shows you your activity for the current day in the form of rings around the circle as well as individual charts. The red Move chart displays the calories you've burned since the start of the day. The green Exercise chart indicates the amount of time you've spent exercising so far. And the blue Stand chart points to the number of hours you've spent standing today. 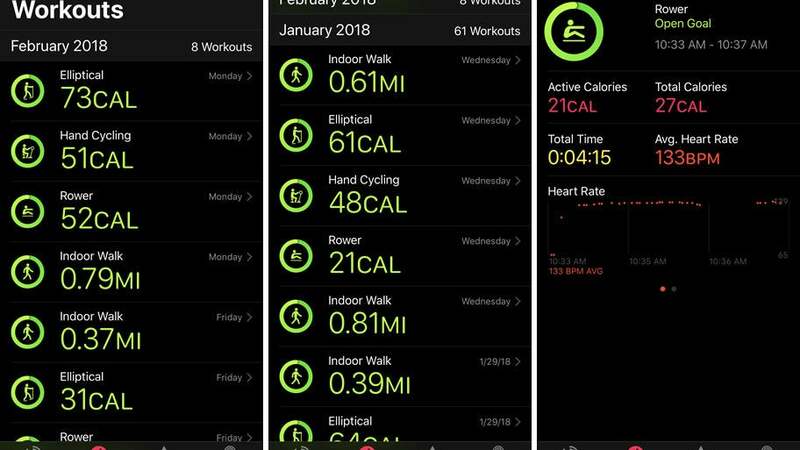 The app reveals the number you've achieved for each of these three items as well as your goal, or target, number, which the Apple Watch automatically sets based on your daily average for each activity. The objective is to close the ring on each activity, which means you've met or surpassed your goal. Beyond workouts, as long as the watch is on your wrist, the app is continually monitoring your physical activity and exertion, much like a Fitbit. So if you take a walk, go for a swim, ride a bike, or row a boat, the app will automatically record your activity and add that to your stats even if you don't trigger a specific workout. To view a recent history of your physical activity, press down on the screen of the Activity app on your watch. Tap on the icon for Weekly Summary and you'll see how you've fared for the week so far. But you can travel back in time much further. Move over to your iPhone and open the Activity app. The app shows you your activity for the current day. Swipe to the right to go back to each previous day where you can see all the data for each day's activities and workouts. Swipe further down the screen to see the workouts you've performed that day. Tap on a specific workout to see all its data, including calories burned, distance, time, heart rate, and pace. You can travel as far back as you've been using your watch for workouts as well as general physical activity. Too much data? You can filter the information to display only a specific workout. In the Activity app on your phone, tap on the Workouts icon at the bottom of the screen. Tap on the link for All Workouts in the upper right and change the setting to a specific workout, such as Rowing, Elliptical, or Running. You can now swipe down and then to the right to view the historical stats for just that workout. To customise the metrics recorded on an AppleWatch during your workout, first open the Watch app on your iPhone. At the My Watch screen, tap on the Workout app and then tap on Workout View. Tap on a specific type of workout, such as Outdoor Walk, Indoor Run, or Pool Swim. Then tap on Edit. You can now remove any existing metric, such as duration or distance, and add a different metric, such as average pace or total calories. You can record as many as five metrics for each workout. One more option to keep in mind: you can change the daily goal for the Move ring if you want to burn more (or fewer) calories. Press down on the screen of the Activity app on your watch. Tap on the icon to Change Move Goal. Tap on the + sign to increase the number of calories or the — sign to decrease them. Tap Update. On your iPhone, the Health app can also provide insight into your workouts. Tap on the Health app to open it. The Today screen shows you how much exercise and activity you've achieved for the day but with a greater breakdown than you'll find in the Activity app. View your active energy (the calories you burn during activity), resting energy (the number of calories you burn while at rest), the number of steps you've taken, the distance you've travelled both walking and running, the number of hours you've been standing, the number of floors you've climbed, the number of minutes you've spent exercising, and the number of minutes you've spent with your specific workouts. The Health app also displays data on your heart rate, including your average rate, resting rate, and walking rate. 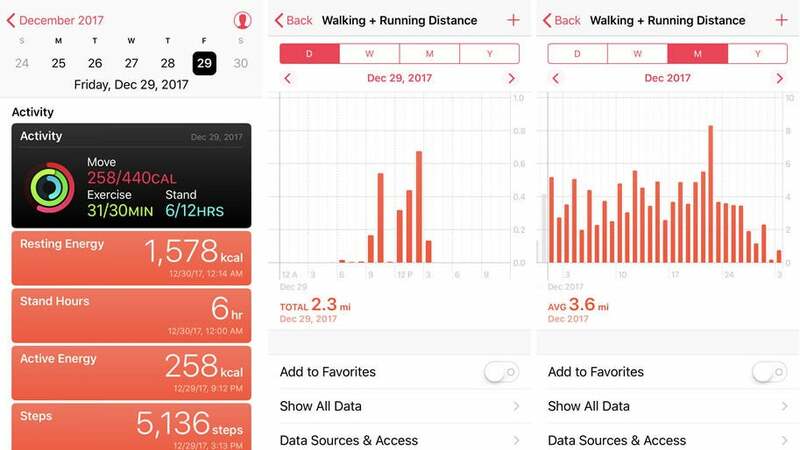 As in the Activity app, you can swipe to the right in the Health app to go back in time to see stats for each previous day. Tap on a specific item, such as active energy, steps, or stand hours, to view your average numbers for the day, week, month, or year. 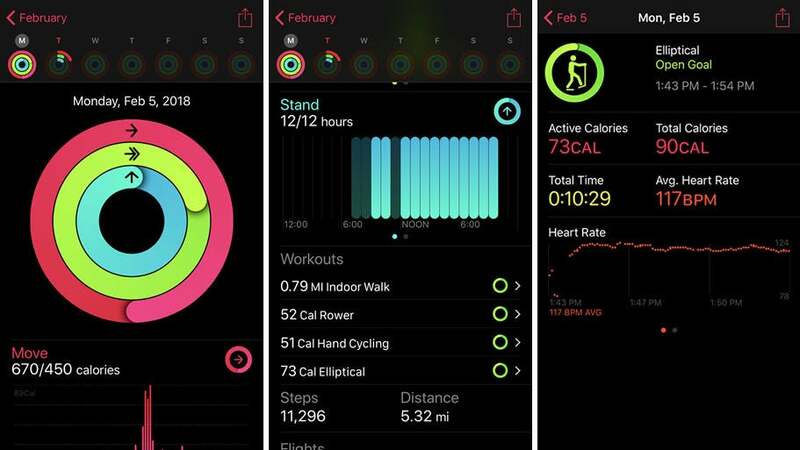 Finally, you can also track your workouts and activity through a host of third-party apps available for your Apple Watch. Such apps as Nike+ Run Club, Strava, Runkeeper, Gymatic Workout Tracker, and Workouts++ can monitor and record your fitness routines. The information captured by these third-party apps is also sent to the Activity app and the Health app (with your permission). You can always try these and other apps to see if you like them. But if you want your watch to start tracking your fitness right out of the box, the built-in Workout app is a free, easy, and effective option.